// All the code comes here. In this we are going to use built-in service called $http(communicate with http requests), $timeout(setTimeout) and $scope (application object). Apply Angular code to the HTML by using ng-app and ng-controller. 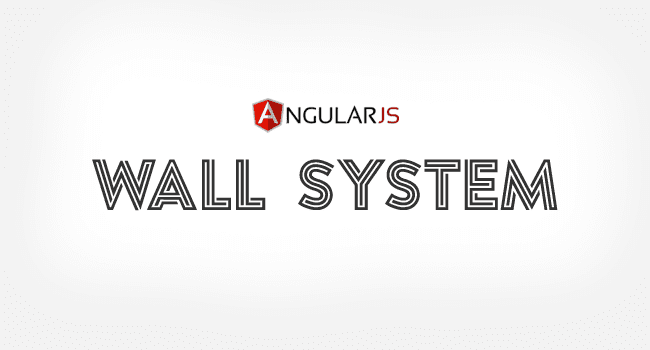 This Wall System divided into multiple HTML blocks. Read Status Message Design with CSS this post for more information. HTML code for updating user status message. Complete news feed grid, this part contains multiple operations. Comment link for accessing Comment form. Using Angular $http service, we are getting the user news feed response based on the user session id. Using np-repeat directive bind the JSON data to HTML template. Read more about AngularJS Tutorial Two Way Data Binding. Here you have to implement database connection and get the user information in JSON format. Implement Angular expressions based on about JSON objects. Using ng-click call the controller function, here $index is referred to data set object. Toggling comment form on comment link, here changing the commentForm value based on clicks. Change commentForm value , focusing the input after 200 milli seconds. newsFeed.php will generate following JSON. Binding data with comments HTML grid. Using ng-click button triggering to deleteComment function. Here updateBox is ID name of the textarea tag, feedValue is the textarea ng-model value. JSON response prepend using unshift function. //Focus update box on page load. Using regular expression, converting test to link. Here $sce means strict contextual escaping services to AngularJS. Just replace HTML code in following way. Thanks for Well detailed article. I've implemented wall with vueJs. I will be glad if you walk us through "how to send sms to mobile phone from website"
Thanks for wall script. But there is big scope of refactoring. it's superb... good post sir..
the same like PHP JQuery pagination. It would be very grateful if you let me know.